A number of fun and easy lighting-related do-it-yourself projects for your home. May is National Home Remodeling Month, which seemed like the perfect time to dig out our tools and get to work on some helpful new lighting How-To’s for our readers. What is a Weekend Warrior? You live for the weekends. Not because you can’t wait to catch up on your favorite TV series or play another round of golf. You spend Monday through Friday longing for the two days a week that you can devote to hammering out yet another home improvement project. Whether you have a spacious and expansive wraparound porch or a cozy stoop to welcome you inside, the front porch is the perfect place to establish a mood that flows throughout the home. Today I’ve rounded up a unique collection of front porch decorating ideas that celebrate the beauty of Spring with bright colors and endless charm. Springtime is all about freshness and a world ablaze with color. This bright DIY welcome mat filters out both the dirt and the troubles of your day. Science fiction aficionados may appreciate today’s blog post on one of the fundamental ingredients needed to create an other-worldly retreat where you can … well, space-out. From childhood bedrooms to multi-million dollar estates, science fiction has been the motivation for some of the most amazing spaces ever. 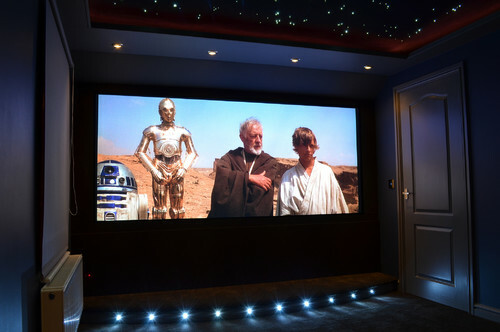 Call it your Star Wars Sanctuary, Asimov Alcove, or Halo Haven, sci-fi rooms all have similar characteristics that give it their “universal” appeal. LIGHT. One of the most popular settings for a fictional future is in outer-space. A black landscape, interrupted only by the flickering of shining planets & stars is the perfect backdrop for sci-fi design. LED fiber optic ceiling lights will make you look like you’re in space. Perhaps the most thoughtful and creative gift that you can give is sitting on your smart phone even as you read this. With just a printer and a few art supplies, photographs become unique keepsakes that can tell any story you want. Design like an Expert — Add cool photo effects, frames and text to your pictures with Canva.com or Picmonkey.com. They are free, easy and will make you look like a pro! Get Social — Scout out your friend or family member’s Facebook or Instagram feed for great photos that you can customize and print. Look Back — Dig through old boxes of family photos to use in your project. To avoid damaging original prints, photocopy them or use your digital camera to take a picture of the image, then print that. Prepare to Print — Most home printers are more than adequate for these projects, but if yours is on the mend or you’ve just realized you’re out of ink, make a quick trip down to your local digital photo or copy center. Make it Shine –Incorporating light into your design adds a unique intensity to the photos. 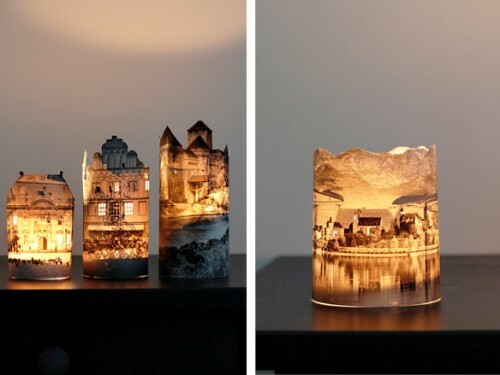 Brighten the gift with repurposed lamps, custom picture lights, tea light candles, or simply the brilliance of the sun. Check out some of our favorite photo gift ideas with tutorials! With the evolution of energy-efficient LED lighting came an endless source of creative costume ideas. Small, cool & colorful lights now come in portable, battery-operated packages where the only thing stopping you is your imagination! This Halloween season, we’ve rounded up a handful of our favorite costume creations using a variety of light sources. Part robot, part pumpkin, this crafty mutation is all ingenuity. It’s Zombie season! Halloween decor is already beginning to line the streets with witches, ghosts, monsters …. and ZOMBIES. And with the season premier of The Walking Dead looming on the horizon (a mere 3 days away), I’m all aflutter with the living dead. Nobody wants to be caught in the dark with a drooling, moaning, rotting Zombie hoard, am I right? Take note fellow survivors, we’ve compiled a list of 9 must-have zombie-apocalypse light sources. Powered by the energy of the sun, you’ll never have to make a dangerous trip into the city to get more batteries with Solar LED spotlights. If you prefer the adrenaline rush of city trips, you may want to position battery-operated motion-sensor spotlights around your campsite to alert you to any sneaky Zombies. Take them with you when you’re doing late night reconnaissance. Doomsday Tip: Make sure there is an off-switch. Nothing worse than trying to douse your light with a zombie on your trail.